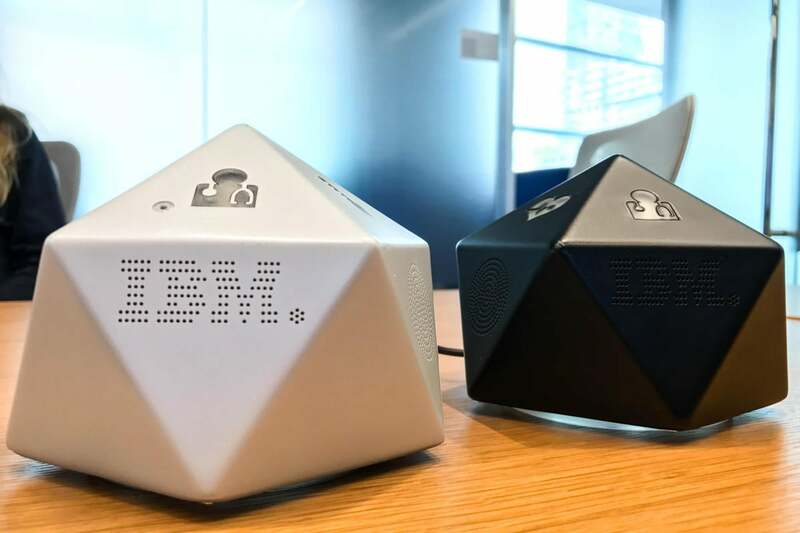 The gadget, which IBM has dubbed a 'cognitive hypervisor,' funnels data from devices such as smart watches and fitness bands into the IBM Cloud. There, it's analyzed and the results are shared with the user and their doctor. The idea is that patients can be monitored reliably through the device so they can be sent home to recover from illnesses a day or two earlier than they might otherwise have been allowed. It also means that should a problem develop, a doctor can be alerted immediately and an ambulance dispatched if it's serious enough. 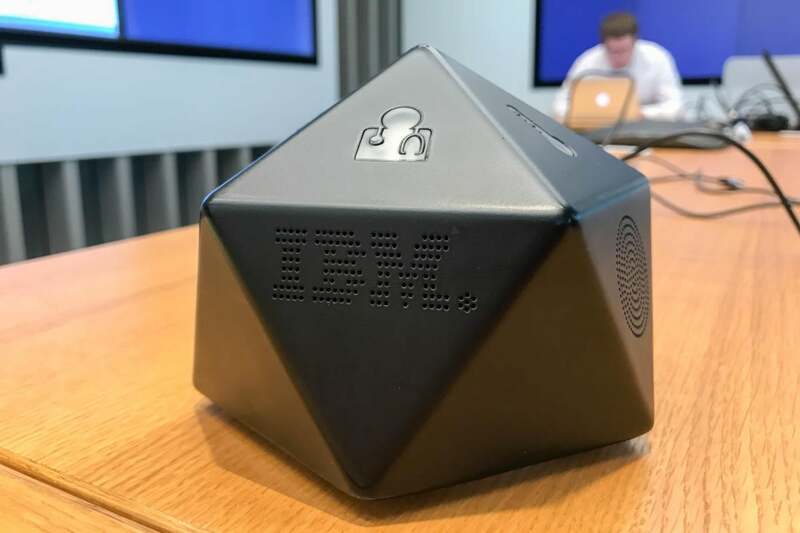 IBM demonstrated a prototype of the device in San Francisco on Tuesday. "I am Chiyo, your new companion. During this time, please touch me to start," it said after powering up. "Every time you touch me, I will tell you about your status." IBM's Chiyo health device as seen during a demonstration in San Francisco on February 14, 2017. Fed with simulated data, the prototype alerted to a low blood oxygen level and a high temperature after it was tapped. The device will react to voice commands and interact through a text-to-speech engine. One of the jobs facing researchers is to make the digital speech more realistic and more conversational. Doing that will encourage users to interact with the device, said Rahel Strässle, a researcher working on the technology at IBM Research in Switzerland. In developing the system, IBM isn't planning to get into the wearables business. Instead, it plans to offer the service as a platform on which other companies can build their own health services. "They can use this technology to build their own wearable devices," said Bruno Michel, manager of smart system integration at the same IBM Research office. The prototype is about the size of a grapefruit and is built with off-the-shelf components such as a Raspberry Pi and Arduino boards, but Michel thinks it can be made much smaller. "I think in about five years, we will be able to have that fit into the ear canal," he said.